After Berlin, I recalled this broadcast on Swedish Radio just a few days ago. It would seem that the reverses they have suffered in Iraq and Syria and even Libya have caused a shift of focus within ISIS. A shift away from their dreams of establishing a Caliphate within their lifetimes to creating a parallel, segregated, Islamic population in Europe. Their focus has shifted from directing their European supporters to travel to the front line in the Middle East to instead, implementing terror attacks wherever they happen to be; in place, in Europe. The Berlin terrorist is still at large. And so are many others – plucking up the nerve to kill indiscriminately. Berlin will be followed by other Islamic, Sunni Muslim, terrorist acts. Islamophobia is not the cause but the inevitable consequence. But a healthy dose of Islamo-skepticism – and amounting to terroristphobia – is absolutely necessary if Islamic terrorism is to be neutralised. As the Islamic State loses territory in Iraq, Syria and Libya, the group’s propaganda changed. The terror group no longer invites their sympathizers to go to war. Reporter Fernando Arias is in conversation with Robert Egnell, a Professor at the National Defence University, about the terror group’s propaganda. the positive images of the Caliphate has almost disappeared. “It’s about being able to show a positive image that can attract. Previously, it has been the Caliphate and the dream of a better life, but it is difficult to show such images today when all the media coverage points to the contrary, and instead must then create success through terrorist attacks and publicise them” said Robert Egnell. Several intelligence services report that fewer are travelling to Syria and Iraq, but we have yet to see the final effects of the reversal of IS propaganda on terrorists in place in Europe, according to Robert Egnell. “We have had an increase of attacks in Europe, but it probably can not be linked so directly to just the propaganda, but it can probably rather be linked to a new IS strategy to focus on Europe”, he says. Is it such a great difference that that people are now encouraged to carry out attacks at home instead of traveling to Iraq and Syria? “Yes, it’s a very important distinction, and it is perhaps something to hope for. The threshold is much higher for committing acts of violence in the home country compared to follow a new dream of the Caliphate. This provided a kind of positive appeal to a certain type of people, and now there is only death and destruction (in the Caliphate). In a society they have grown up in, one can hope that the threshold (to act) is significantly higher than making the trip down to Syria and fighting for some ’cause’ “. 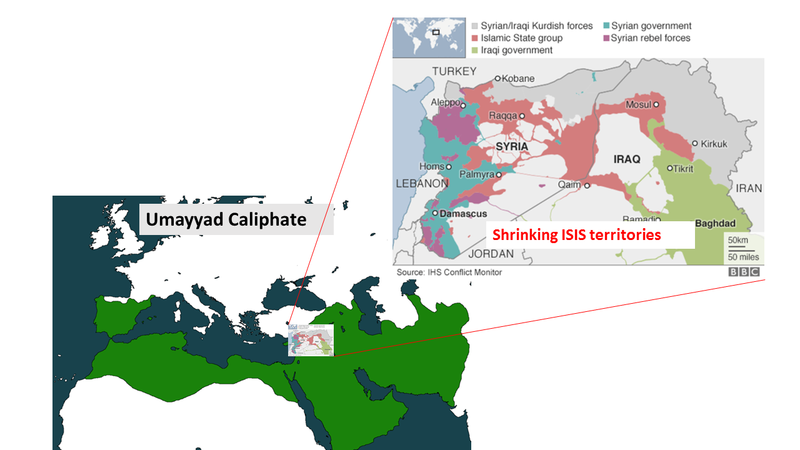 But the Caliphate dreams are certainly shrinking. Not all mosques harbour the radical preachers who infect the vulnerable with the murderousness virus. But some certainly do. Not all madrassas are totally focused on brain-washing impressionable and malleable young minds into the state of would-be terrorists. But some are. Not all radical mosques and madrassas are financed from Saudi Arabia and the Gulf States. But some certainly are. After Paris and now Nice, France has had enough. Since December, 20 mosques and prayer halls considered radical have been closed. Over one hundred more are on the list fpr closure. Banning the foreign financing of mosques and prayer halls is now being considered. …….. There are some 2,500 mosques and prayer halls in France, about 120 of which are considered to be preaching radical Salafism, a strict Sunni interpretation of Islam. ……… Prime Minister Manuel Valls said last week that he would consider a temporary ban on foreign financing of mosques, urging a “new model” for relations with Islam. In December 2015 Al Jazeera reported that 160 mosques had been identified and could be closed. Al Jazeera: France is likely to close up to 160 mosques in the coming months as part of a nationwide police operation under the state of emergency which allows places of worship that promote radical views to be shut down, one of the country’s chief imams has said. Following news that three mosques have already been closed since the November 13 attacks on the capital, Hassan El Alaoui, who is in charge of nominating regional and local Muslim imams and mediating between the imams and prison officials, told Al Jazeera on Wednesday that more were set to be shut. “According to official figures and our discussions with the interior ministry, between 100 and 160 more mosques will be closed because they are run illegally without proper licenses, they preach hatred, or use takfiri speech,” he said. It has been a surreal few days with the massacre in Nice and the apparently failed coup in Turkey. 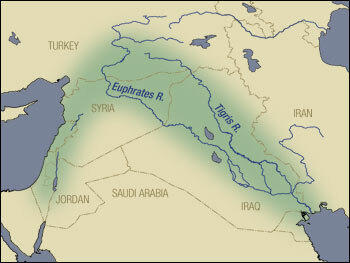 Whether the massacre in Nice was directed by ISIS or just inspired by ISIS, the virus came out of the fertile crescent which some 10,000 years ago was the cradle of civilisation. As Erdogan cracks down a period of blood-letting in Turkey is likely to follow. (The coup attempt, even in its failure, is likely to delay any possibility of EU membership by at least a decade). The sources of the virus are then those teachings or ideologies which justify and promote the use of barbarism and murder and mayhem. It would apply equally well to the twisted ideologies which inspired IRA murderers or Anders Behring Breivik or to those Wahhabi preachings which currently inspire what is manifested as Islamic terrorism. There are virus sources in other parts of the world as well but the most virulent strain right now is that emanating from Saudi Arabia. The conventional “war on terror” has really only addressed individuals already infected and showing visible signs of the disease. There has been no coordinated effort to localise and isolate the real sources of the virus. Or more than half-hearted attempts to identify the carriers of the virus who themselves never carry out the murderous acts. (In the guise of freedom of speech many of the virus carriers are freely allowed to roam within the EU infecting vulnerable youngsters). Elimination means zero disease in a defined geographic area as a result of deliberate efforts. Control measures are needed to prevent reestablishment of transmission. the need for an intense focus on the goal of stopping transmission of the targeted disease, even when the costs per case rise sharply as the number of cases declines. Common difficulties faced by such campaigns include sporadic or widespread political insecurity in areas where the disease is endemic, inadequate or delayed funding, and the challenges of motivating officials, health workers, and affected populations. Our propensity for murderous behaviour is partly genetic and partly by upbringing. But I have no doubt that it is finally a manipulation of the mind which then results in murderous behaviour or the further transmission of such manipulation. And that is perhaps best treated as a disease to be eliminated and eradicated. There was shouting in Arabic and then two explosions in the departure lounge at Zaventem Airport in Brussels. No doubt it is in retaliation for the capture of the Paris terrorists. Another explosion and shots are reported from an underground train station (Molenbeek?). Some reports say that 11 are dead. The vast majority of terrorist activities in Europe (not forgetting Anders Behring Breivik) are by Muslim fanatics. It is not entirely coincidence. Only a few Muslims are terrorists, and all religions generate their fanatics, but Islam seems to allow for a greater glorification of jihad and the indiscriminate killing of infidels than most. And Islam has more of its priests exhorting its followers down the terrorist path than other religions. Denying that in the name of political correctness serves no one. It was, I think, Lee Kwan Yew who first described Islamic terrorists and terrorism with his analogy of bee hives. He advised that terrorism could only be addressed if you went after the preachers (“the queen-bees”). I think the hive analogy is sound but I would put it a little differently. In an Islamic terrorist organisation, I equate the preachers with the queen-bee, the central command and the suicide bombers and kamikaze attackers with drones, and all the remaining support staff as the worker bees. The Paris attackers were drones and expected to suicide. Their support (safe-houses, chauffeurs, comfort women and the like) are the worker bees and expendable. The sick, infected queen-bee is somewhere in Syria. Most Muslims are not terrorists. But far too many are. And they are all inspired by their own queen-bees each with its own infected version of Islam. Of course there are non-Muslim terrorists as well. In today’s world however, the majority of groups using indiscriminate terror tactics are Muslim. Why deny the reality? Why then the leap to judgement – and it surely is based on something other than reason – to reach the conclusion that the religion of Islam should not be held responsible for the “perverted terrorists” that the religion inspires? I hear some arguing that what drives ISIS is not “true” Islam. Or that Islam is actually a “religion of peace”. There is a rush to absolve the religion and to decouple the behaviour of terrorists from their religion. This may be politically correct but it is quite irrational. The religion does generate and allow the queen-bees who provide the driving Cause. Without Islam (no matter how perverted a view or practice of Islam), there is no ISIS. And there wouldn’t be so many other such groups (al Qaida, Boko Haram, al Shabab, LeT …). I conclude that there is something fundamental and inherent in the practice of Islam which inspires, allows and glorifies terrorist behaviour by some of its practitioners . “Terrorist Islam” is as much a part of Islam today as “Militant Christianity” was of Christendom almost a thousand years ago. All terrorists have a Cause which tips them over the edge. Breivik had his and it was a “white supremacist cause”. The IRA had their own Cause also rooted in religion. For those Muslims (mainly Sunni) who are terrorists, it is their “perverted” view of Islam which provides the Cause which is the key motivator. That “perverted” view of Islam is actually part of the reality of the Islam of today. It is that which is promoted by an army of imams and preachers in mosques and teachers in madrassas who cherry-pick sections of the Koran to underpin their adoption of jihad and their virulent world-view. These are the queen-bees. It would seem that Islam contains within itself a convenient framework, and the Koran provides suitable, appropriate and authoritative “scriptures”, which can then readily be exploited by the “queen-bees” to inspire the terrorist groups. A very great many of these “queen-bees” are Sunnis and a large number of their mosques and madrassas are funded from Saudi Arabia and the Gulf States. On the ground, Islam is proving to be particularly effective in generating queen-bees and providing the terrorists with a Cause. The writings of the Koran (or the Bible for that matter) are all just fairy stories, made up a long time ago. Their literal content is anachronistic and almost irrelevant. They can all be – and are – interpreted in a variety of ways by the queen-bees of the day. It is the interpretation of those stories today and the behaviour engendered now which is relevant. Most Muslims interpret the Koran and their religion to shun gratuitous violence. But a not insignificant number of Muslims, interpret the Koran in a “perverted” way and practice their own jihadist brand of Islam. And they do so because they can, and – more importantly – because Islam allows them to. A religion does not live in some Divine Vacuum. It is not some abstract thing which can be divorced from its current interpretations, practices and practitioners. The Christian religion which inspired the Crusades and the barbarisms of the Church Militant is now out-of-date. But is obsolete only because it is no longer practiced. The ahimsa (non-violence) principles of a romanticised Hinduism of the past (which never really existed) is not relevant when faced with the reality of the current violent practices of some Hindu fanatics. The VHP and the RSS and the Hindu Mahasabha provide the Hindu queen-bees. The much vaunted non-violence of Buddhism is of no comfort when faced with rabid, rampaging Buddhist monks in Burma or Sri Lanka. These mad monks are an integral part of what Buddhism is today. The religion of Islam cannot just – by assertion – claim to be a religion of peace and ignore the reality that so many of its preachers and teachers promote terrorism. It is the religion itself which allows space for their interpretations which, in turn, give rise to the perversions (just as the Bible was, and is, perverted by some). The religion of Islam as manifested in its current practice and by its practitioners must bear its share of responsibility for the behaviour of the perverted few. The suicide bombers and gunmen and beheaders are essentially drones – but deadly drones. Killing a drone does not get rid of the queen-bee or the hive and a further supply of idiot drones. A terrorist is not born a terrorist. No doubt genes have a say. Upbringing plays a large part but the availability of a queen-bee and a Cause is the final – and necessary – straw. Some would argue that a terrorist will always find a Cause to serve, but behaviour does not work that way. There may be some cases of psychopaths looking for any Cause to serve. Generally, however, Causes look for or create their drones, not the other way around. A member of ISIS born of Muslim parents, but who was brought up instead, say as a Buddhist, or who was not polluted by some rabid imam or his proxy, would not today be beheading infidels. The potential terrorist will never finally become a terrorist without being attached to a queen-bee and indoctrinated by a Cause. That Cause has to be sufficiently strong to generate, and be manifested as, a vicious hate of something or somebody, if it is to finally tip behaviour into terrorist actions. Which is why I don’t buy the argument that just poverty or unemployment provide a Cause. They may contribute, but by themselves, don’t usually generate the level of hate required. Of course, it is not only a religion and its infected queen-bees which provide a Cause for terrorists. Politics and race can also provide the level of hate required. Every religion has had its share of queen-bees who inspire, or have inspired, its fanatic drones by providing them with a Cause directed against non-believers. In today’s world, Sunni Islam and its queen-bees inspire more terrorist groups and terrorists than any other religion. “Militant Christianity” encouraged and promoted by Christian queen-bees, was an integral part of the Christianity in the time of the Crusades. In our time, it serves no purpose to try and divorce “moderate Islam” from the queen-bees who promote the practices of “terrorist Islam”. The religion of Islam – at any time – consists of its practitioners of that time. One cannot separate Islam, as if it lived in some elevated place above the fray, from the terrorist behaviour it has inspired in so many of its adherents (Sunni and Shia). All through history one or other of the organised religions has inspired terrorism. But it has always required rabid preachers – the queen-bees – to inspire the simple-minded drones. In today’s world that religion is Islam and the majority of the terrorist groups active are Sunni. The simple reality is that Islam today – in some fundamental way – generates more queen-bees and inspires more terrorists with a Cause, than any other current religion or political movement. And to get rid of the terrorist hives you have to go after the queen-bees. Without the queen-bees the idiot, murderous drones and the unthinking, slave-like workers would be directionless. Mayhem in Paris – and I wonder which Muslims are celebrating? The mayhem in Paris is not over yet. So far 40 dead are reported and 100 have been taken hostage. So tell me again that the religion of Islam and its high priests bear no responsibility. Or that any peaceful side of Islam has not been obliterated by its barbaric manifestations. Or that this is probably the barbarism of just a few Sunni fanatics and should not tarnish all Muslims. Or that there are not Madrassa-brainwashed Muslim youths across Europe who are not secretly celebrating. Or that no money from Saudi Arabia was involved either in the brainwashing or in the barbarism. Or that it is not misguided multiculturalism which has provided the space for their isolation and their radicalisation. And I wonder how many hundreds if not thousands of killers have been sneaked into Europe among the – no doubt – real refugees and asylum seekers? Someday humans societies will grow up and all organised religions and their brainwashing of children will be obsolete. But not for a very, very long time. Posted in Behaviour, France, Religion | Comments Off on Mayhem in Paris – and I wonder which Muslims are celebrating? MH370: Chinese media blame Malaysia but were they expecting an attack? The blame game has started but it has started much too early. For the Chinese media, blame is already clear. It is either Malaysia (if terrorism) or Malaysia Airlines (if aircraft fault) to blame. For the Malaysian Home Minister it is incompetence among his passport control staff. (Note that this is passport control for passengers leaving the country). Malaysia Airlines is also being criticised for not even knowing where and when the aircraft disappeared. The rush to judgement by the Chinese does make me wonder whether they were expecting something. The recent knife attack by terrorists at Kunming Railway station where 29 died may not be irrelevant. The Chinese media were not pleased then, when the Western media were divided in calling the knife-wielding attackers “dissidents” or “terrorists”. I have the distinct perception – from their response and their allocation of blame – that the Chinese know much more about MH370 than they are letting on. Chief of China’s Maritime Search and Rescue Center He Jianzhong said Monday the country has created a plan for the search and rescue of a missing Malaysia Airlines jet. The search and rescue plan involves four patrol and rescue vessels and two naval warships. The search range of the six ships has also been clarified, said He, who is also vice minister of transport. Chinese warship Mianyang and a marine police vessel with hull number 3411 have begun searching the sea where the Beijing-bound MH370 flight from Kuala Lumpur might have lost contact, he said. He said that three more patrol and rescue vessels under the command of the transport ministry are expected to arrive in the area on Monday and Tuesday. Their hull numbers are 115, 31 and 101. Most of the passengers on MH370 were from China and there is an assumption in the Chinese media that a terrorist act must have taken place and there is a growing criticism of Malaysian security arrangements and their speed of response. The Malaysian Home Minister is rattled – see previous post- and is looking for scapegoats. The acting Malaysian Transport Minister does not know very much. For the Chinese media, if it was an aircraft problem then it was clearly the fault of Malaysian Airlines and if it was a terrorist act then it was equally clearly the fault of Malaysian security. (But I think the Chinese are protesting too loudly and much too quickly. They were – perhaps – expecting some kind of an attack). BBC: A commentary in the Beijing Times notes that Premier Li Keqiang said he was “very worried” over the missing plane and added that his government will continue to be a “strong shield” for people who are overseas. “When the citizens are out of the country, their dignity is closely linked to the dignity of the country. When the country is strong and prosperous, especially if it respects the citizens and protects them, citizens will feel confident and proud when they are abroad,” it says. Criticising Malaysia for not responding swiftly during the initial stages of the problem, the Global Times Chinese edition says the incident shows there were “obvious loopholes in security checks” in Malaysia. The daily calls for better security for Chinese holidaymakers. “The Chinese society is no longer in the era of poverty, life is no longer cheap. We demand safety of food, air, water as well as transportation. So we pay great attention to the safety situation in holiday destinations in other countries which are popular among the Chinese,” it says. China’s state-run media on Monday lashed out at Malaysia and its national carrier over their handling of the missing passenger jet, calling for a swifter response effort and tightened airport security. Nearly two-thirds of the 239 people aboard Malaysia Airlines (MAS) flight MH370 were from China, and if the loss of the aircraft is confirmed, it would be China’s second-worst air disaster in history. “The Malaysian side cannot shirk its responsibilities,” the Global Times newspaper, which is close to the ruling Chinese Communist Party, wrote in a scathing editorial. “The initial response from Malaysia was not swift enough. “There are loopholes in the work of Malaysia Airlines and security authorities,” it said. The China Daily newspaper wrote in an editorial that “terrorism cannot be ruled out”, with Malaysian and international authorities still at a loss to explain how at least two passengers were able to board with stolen Italian and Austrian passports. “Who were they and why were they using false passports?” the paper asked. “The fact that some of the passengers on board were travelling with false passports should serve as a reminder to the whole world that security can never be too tight, at airports in particular, since terrorism, the evil of the world, is still trying to stain human civilisation with the blood of innocent lives,” it added. Posted in Aviation, Behaviour | Comments Off on MH370: Chinese media blame Malaysia but were they expecting an attack?